This story is the first part of an NBC Bay Area investigation into California’s workers’ compensation system. Check back on Aug. 22nd for Part II. Dozens of injured San Jose firefighters, 68 in all, have filed complaints with the city since late 2014 alleging they were denied the medical care that was promised to them. The city says the complaints state that Athens Administrators, the private company contracted by the city to handle half of San Jose’s workers’ compensation claims, improperly rejected requests for medical treatment needed to get those firefighters healthy and back to work. 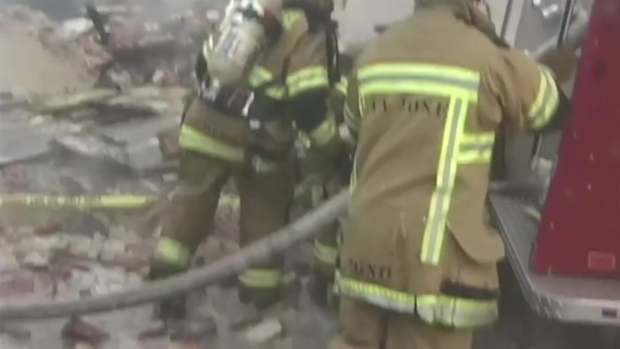 An NBC Bay Area investigation found the city’s Human Resources department had to intervene on behalf of the injured firefighters and later overturned 95 percent of those denials. Athens says it was simply following the guidelines set by the state when they determined the requests for medical service were not medically necessary. But city officials disagreed and ultimately approved treatment on 70 of the 74 firefighter claims. California Professional Firefighters (CPF), the organization that represents more than 30,000 firefighters across the state, says what’s happening in San Jose is emblematic of a much larger issue: Injured firefighters are being failed by the state’s workers’ compensation system. “We’re seeing a lot of folks fall through the cracks and seeing folks that can’t get treatment,” said Lou Paulson, President of CPF and a Contra Costa County fire captain. It’s impossible to know exactly how many firefighters, or any injured workers for that matter, have had requests for treatment denied. No state agency tracks those numbers. But after hearing anecdotes of injured firefighters being denied medical care, CPF sent a survey to its local affiliates across California asking if the workers’ compensation system was working as intended. The organization received a stack of responses three feet high overwhelmingly saying the system is broken. One of those injured firefighters is Marty Hoenisch, a retired San Jose fire captain. In 1999, Hoenisch was nearly killed in the line of duty when a warehouse engulfed in flames collapsed and buried him in rubble. Hoenisch suffered a fractured spine, a broken pelvis and a broken leg. After months of rehab, Hoenisch returned to work. He retired in 2009 with lifetime medical benefits after 25 years on the job. In May 2014, Hoenisch woke up in severe pain. Athens Administrators was awarded a contract to handle half of San Jose’s workers’ compensation claims in 2013 under a three-year pilot program. The program was launched in response to a 2009 audit that found the city could do a better job of containing costs. In 2014, when Hoenisch’s doctor submitted requests for an MRI, an epidural and physical therapy, Athens denied the requests, claiming they were not medically necessary. Hoenisch, in pain the entire time, said he went back and forth with Athens for months with no progress. Nothing happened until Hoenisch contacted Joe Angelo, the director of San Jose’s Human Resources department. Angelo, who began tracking complaints from firefighters in late 2014, asked his team to investigate. After reviewing Hoenisch’s case file, the city reversed Athens’ original denial. They would ultimately do the same for 63 other injured firefighters. Angelo said the city never expected to receive so many complaints from firefighters and acknowledged some growing pains in the relationship with Athens. Although he disagreed with their decisions in some cases, Angelo said Athens was just trying to ensure the city wasn’t wasting tax dollars on unnecessary medical treatment. Athens would not discuss the specific cases of injured workers for privacy reasons. But the company said the Department of Industrial Relations sets the treatment guidelines for injured workers and Athens is just following the state’s playbook. Hornbrook said the 70 cases overturned by the city represent just a fraction of the 880 requests for medical treatment submitted by firefighters since July 2013. However, since the city only began tracking complaints since Oct. 2014, it’s impossible to know how many complaints were actually filed over that time period. And those 70 cases weren’t they only denials made by Athens. According to data from San Jose’s Human Resources department, Athens has denied about 26 percent of treatment requests from the city’s injured workers since the 2013 contract began. When asked why the city had to intervene on behalf of injured firefighters, Hornbrook said it’s just part of the process when working with a client. The city says the pilot program never actually saved any money, although Athens says it reduced the number of open claims by about 8 percent. After the city stepped in on his behalf, Hoenisch finally got the treatment his doctor requested. He said he’s mostly pain free these days, but worries about the firefighters still fighting on the front lines.